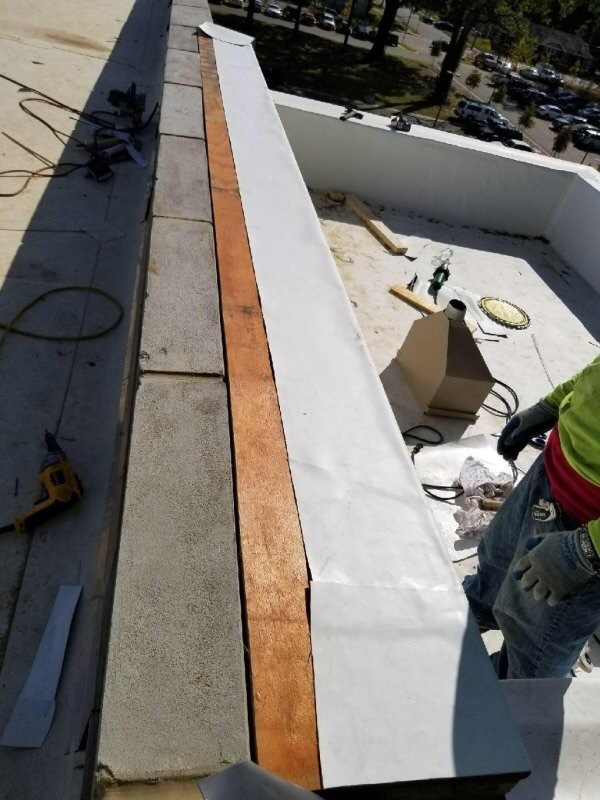 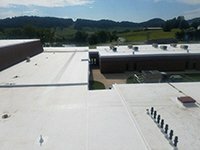 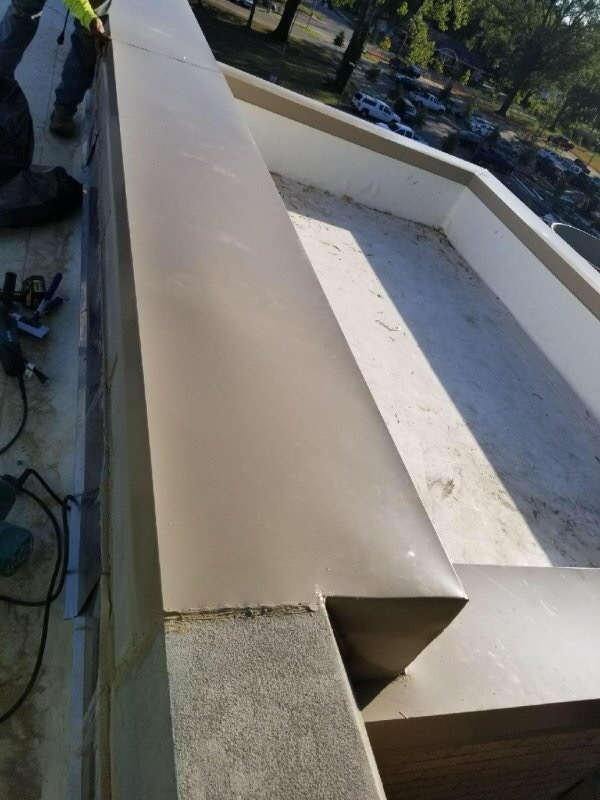 Medford Roofing is experienced enough to come up with a solution when the field conditions and architectural drawings do not match. 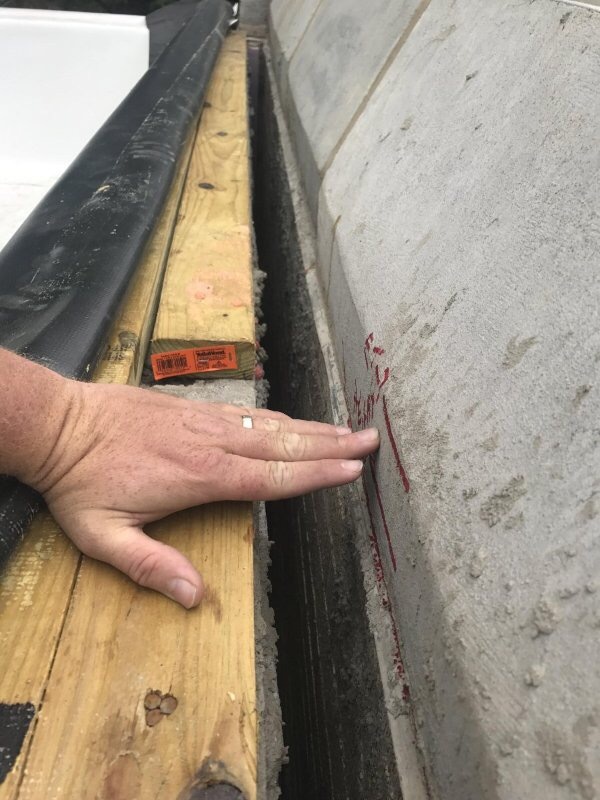 An addition was built, but we could not attach wood to the stone, the wall was 12 inches too low and above the joint of the stone so we couldn’t terminate properly. 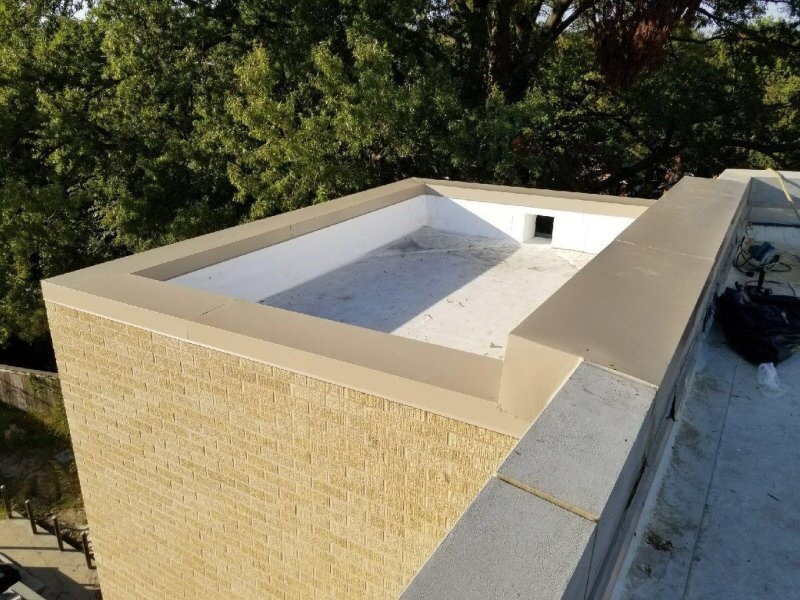 Therefore, we built up the back wall to match the stone height to install a coping cap. 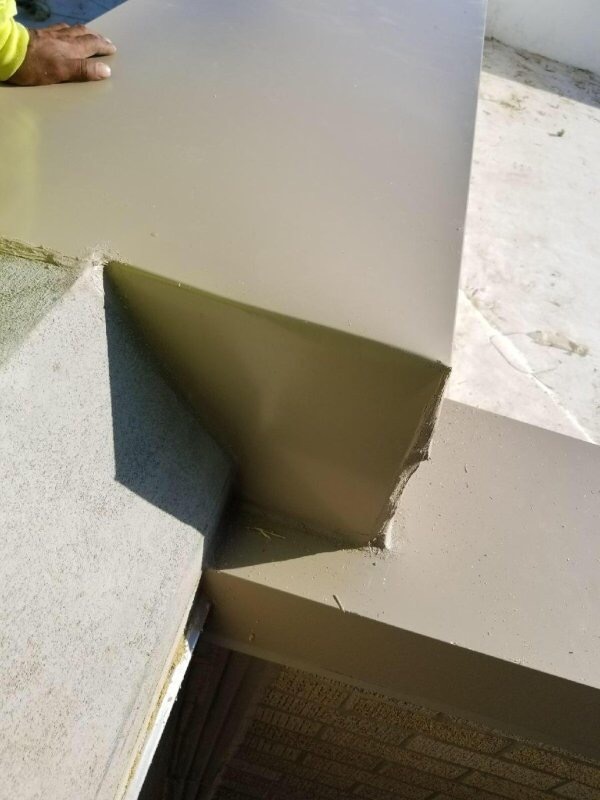 Because there were no edge details or corners, we had to come up with a solution for those areas as well.